Copyright notice: The information on this page has been compiled by us, with the generous assistance and contributions of our friends and visitors. All rights of reproduction reserved. This page presents some recent general Berlioz-related news and forthcoming events. For details of performances of Berlioz’s music please see Forthcoming Performances. Please contact us if you wish to share similar information with others. The world premiere of Hector Berlioz's book of 25 newly discovered romances for voice and guitar will be performed by soprano Magali Simard-Galdès and tenor Antonio Figueroa, accompanied by guitarist David Jacques on his 1829 Jean-Joseph Coffe guitar. La première représentation de la Symphonie fantastique, en 1830, fut un événement sans précédent puisque cette composition introduisait de nouveaux concepts dont celui de la musique à programme. 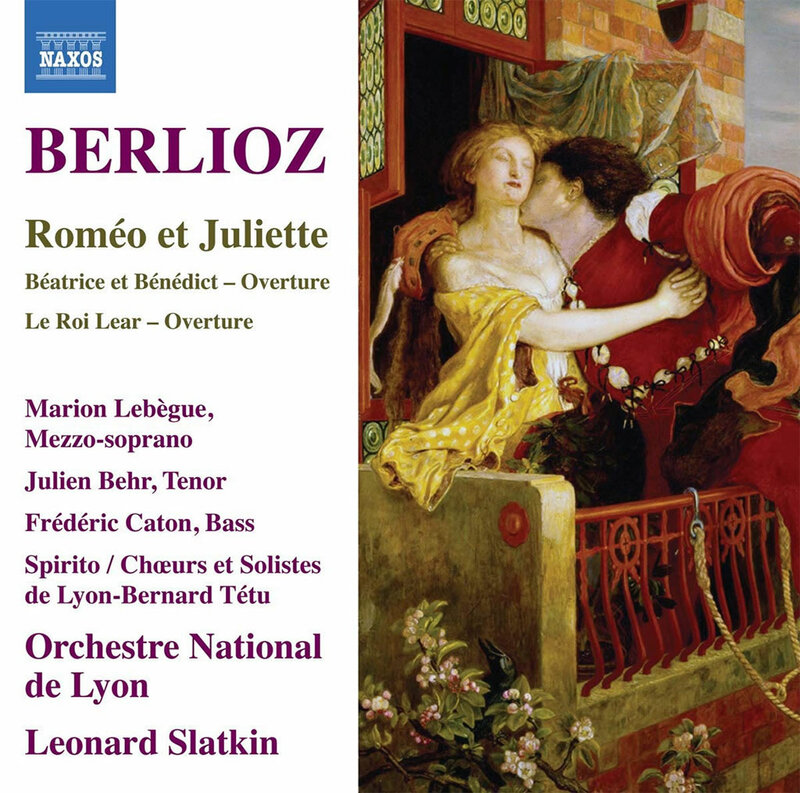 Cette œuvre de Berlioz est un voyage fortement imagé dans le monde de l’amour désespéré et des rêves tourmentés, une manifestation convaincante de l’esprit romantique. Ce concert offrira un bouquet des plus belles pages de la musique française; du Clair de lune de Debussy en passant par les Gymnopédiede Satie, Pavane de Fauré sous la direction de Marc David. La soprano Laetitia Grimaldi et le baryton Marc Boucher donneront le célèbre cycle Les nuits d’été de Hector Berlioz et compléteront ce voyage avec un florilège mélodique accompagnés par l’ensemble orchestral; Fauré, Hahn et Gounod. Jocelyne Roy, flûtiste, Airat Ichmouratov, clarinet-tiste, Mathieu Lussier, bassoniste, Antoine Bareil, violoniste, Chloé Chabanole, violoniste, Elvira Misbakhova, altiste, Stéphane Tétreault, violoncelliste, et Ammiel Bushakevitz, pianiste. La Prise de Troie interpreted by Isabelle Druet as Cassandre, Mirko Roschkowski as Enée, and Thomas Dolié as Chorèbe, with the Jeune Orchestre Européen Hector Berlioz – Isère, conducted byFrançois-Xavier Roth. Michael Spyre perform in Benvenuto Cellini conducted by Sir John Eliot Gardiner. Towards the end of the Festival, Marc Laho, Sophie Koch and Paul Gay will perform in La Damnation de Faust conducted by Tugan Sokhiev. Valéry Gergiev will conduct Mariinsky orchestra in Roméo et Juliette, but soloists are not yet known. Other concerts of the Festival will be Orphée et Eurydice by Gluck (in the version Berlioz's versione), with Marianne Crebassa in the principal role, an evening will be devoted to Offenbach, with Stéphanie d’Oustrac and Julien Behr, conducted byHervé Niquet. There will also be an item representing Euphonia 2344 of Michaël Levinas based on Berlioz's own text, lui-même; a new Les Nuits d’été commisioned for Alexandre Lavandier, based on Nicolas Boyer’s text; and Albane Carrère interprets a catata by Karol Beff. The above evets will take place between 17 August and 1st of September. This volume has been published by the Société française de musicologie, with support from the Ministère de la Culture et de la Communication. ISBN 978-2-85357-262-0. The BBC Proms will return to the Royal Albert Hall in 2019, as it has done every year since 1941. The full season will be announced on Wednesday 17 April, with booking opening on Saturday 11 May. An arrangement of Les Nuits d’été by Luca Antignani has been published by Symétrie, commisioned by 15e Concours international de musique de chambre of Lyon, on the occasion 150th anniversary of Berlioz’s death. The arrangment is in two versions: flute, clarinet, violin, cello, piano and high voice; and flute, clarinet, violin, cello, piano and deep voice, and can be purchased separately. (Symétrie ISMN 979-0-2318-0874-2). We are most grateful to our friend Madame Hjördis Thébault for this information. Anyone who has been involved in or contemplating performances of the Grande Messe des Morts, is likely aware that the vocal score does not contain an alto part, as was common practice in early 19th century French choral music. There is now an edition that includes an alto line, drawn from the second soprano and first tenor lines, that solves the complicated problem of providing directions for the chorus altos for performances. This edition has been used in recent performances by the San Francisco, Seattle and Virginia Symphonies, among others, and is now being made available in pdf form, gratis, by editor Adrian G. Horn. He adds that the work has been a labor of love for him, and that he would rather give it away than see it underutilized. It is anticipated that Béatrice et Bénédict will be performed at the Cologne Opera during 2019-2020 season, (complete with all the spoken dialogue in French), to be conducted by François-Xavier Roth. In addition, a stage production of Les Troyens is expected to be performed, also at the Cologne Opera, during the 2020-2021 or 2021-2022 season, and will be conducted by François-Xavier Roth. The above information was provided by the conductor. We are most grateful to our friend Pierre-René Serna for this item of news. François Xavier Roth, Chief Conductor of Gürzenich Orchester Köln has announced a staged production of Les Troyens in "Die Opernwelt". Date unknown but probably next season. Opernwelt is a monthly German magazine for opera, operetta and ballet. We are most grateful to our friend Mr. Harald Janko for this incormation. This edition, by Professor Peter Bloom, will be published by Vrin, in Paris, before the end of this year, or early next year, in time for the 150th anniversary of the death of Berlioz. This manuscript, which was thought lost for over a century, has been found; it is now in the Bibliothèque nationale de France, and placed online on Gallica. (1 January 2018) All internal hyperlinks on the site have been converted from absolute to relative links. For example, depending on the location on the site of the file where the link is placed, the address of the English home page is now expressed in code more concisely either as "index.html" or as "../index.html", and no longer as the full "http://www.hberlioz.com/index.html". This change has involved rewriting the code of all html pages on the site, some 6,000 in all. (1er janvier 2018) Tous les liens internes du site ont été convertis de liens absolus en liens relatifs. Par exemple, suivant l’emplacement sur le site du fichier où se trouve le lien, l’adresse de la page d’accueil du site est mainenant donnée dans le code de manière plus concise soit comme "BerliozAccueil.html", soit comme "../BerliozAccueil.html", et non plus comme "http://www.hberlioz.com/BerliozAccueil.html". Ce changement a nécessité la modification du code de chaque page html du site, soit environ 6,000 fichiers en tout. Experiencing Berlioz: A Listener’s Companion, by Melinda P. O’Neal, will be published by Rowman & Littlefield Publishers in February 2018. The Cambridge Berlioz Encyclopaedia, edited by Julian Rushton (Cambridge and New York: Cambridge University Press, 2017). (1 October 2017) During September a further 1,000 files have been converted, including a number of autobiographical articles by Berlioz himself (in Le Monde Illustré and Le Magasin des Demoiselles), articles and studies about Berlioz, notably by Ernest Reyer (in the Journal des Débats) and the extensive series of Berlioziana by Julien Tiersot (in Le Ménestrel), and the more than 800 pages concerning Berlioz and Paris (his residential addresses, public buildings and venues, his career and activities in Paris). With one exception the conversion of the entire site to HTML5 is now complete and every single page has been validated with the validation service provided by the World Wide Web Consortium, making a total of about 5,500 pages of html. The exception mentioned concerns a group of around 500 files of musical scores which are in a proprietary format which cannot be converted to HTML5. (1er octobre 2017) Au cours du mois de septembre un millier de fichiers ont été convertis, comprenant des articles autobiographiques de Berlioz lui-même (dans Le Monde Illustré et Le Magasin des Demoiselles), des articles et études sur Berlioz, notamment par Ernest Reyer (dans le Journal des Débats) et Julien Tiersot (sa grande série de Berlioziana dans Le Ménestrel), et les plus de 800 pages concernant Berlioz et Paris (les domiciles du compositeur, bâtiments publics et autres locaux, sa carrière à Paris). À une exception près la conversion de l’ensemble du site au format HTML5 est maintenant terminée, et chaque page a été validée avec l’outil de validation fourni par le World Wide Web Consortium, soit environ 5,500 pages de html en tout. L’exception mentionnée concerne un groupe d’environ 500 pages de partitions musicales qui sont rédigées dans un format spécial qui ne peut être converti au format HTML5. The 8 August performance of La Damnation de Faust at the BBC Proms 2017, conducted by John Eliot Gardiner, is now availabe on YouTube. (1 September 2017) A total of over 4,400 files have now been converted, including all the files concerning Berlioz Photo Album, Berlioz Music Scores (including Texts and Documents relating to Berlioz’s music, the excerpts from the Treatise on Instrumentation and Orchestration and the Conductor’s Art, but excluding the files containing actual musical scores), Berlioz’s travels in France, Germany and Central Europe, Berlioz Discography, Berlioz Memorabilia and Bicentenary Special, and finally the Home Page of the site and files related to it (notably Site History and Site Statistics). (1 August 2017) A total of over 2,600 files have now been converted, including all the files concerning La Côte-Saint-André, Vienne (Isère) and Meylan, Berlioz Libretti and Berlioz and Literature, Berlioz Statues, Berlioz in London (including Friends and acquaintances, and his Report on the Great Exhibition in London 1851), Berlioz Predecessors and Contemporaries (but excluding the files of musical scores). (1er août 2017) À cette date plus de 2,600 fichiers ont maintenant été convertis, comprenant tous les fichiers concernant La Côte-Saint-André, Vienne (Isère) et Meylan, les Livrets et L’Inspiration littéraire de Berlioz, les Statues de Berlioz, Berlioz à Londres (y compris Amis et connaissances, et son Rapport sur l’exposition de 1851 à Londres), et les Prédécesseurs et contemporains de Berlioz (mais excluant tous les fichiers de partitions musicales). (1 July 2017) A total of over 1,500 files have now been converted, including all the files concerning the Archive of performances of Berlioz’s music, the Pioneers and Champions of Berlioz, the Letters of the composer’s family at the Hector Berlioz Museum, and Berlioz’s travels in Russia. (1er juillet 2017) À cette date plus de 1,500 fichiers ont maintenant été convertis, comprenant tous les fichiers concernant les Archives des concerts de musique de Berlioz, les Pionniers et partisans de Berlioz, les Lettres de la famille du compositeur au Musée Hector-Berlioz, et les voyages de Berlioz en Russie. In August 2016 an Association was founded in France with the object of commemorating with one or more concerts to be given in 2018 the centenary of the end of the First World War. The main concert proposed would consist of a performance of Beethoven’s Ninth Symphony and Berlioz’s Requiem, to be given by joint musical forces drawn from both Germany and France; other concerts may also be given. The Association has the title of ‘L’association 2C2G’ with the subtitle ‘Concerts Commémoratifs de la Grande Guerre’, and its President is the eminent Berlioz scholar Dominique Catteau. Further information are available on the Association’s website (http://www.2c2g.org/). We are very grateful to Dominique Catteau for providing us with this advance information. 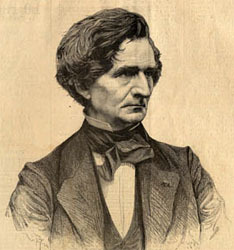 (1 June 2017) A total of over 1,000 files have now been converted, including the files relating to Berlioz-inspired works of art, contemporary performances and articles, original contributions to the website and other articles, reviews of live performances of Berlioz’s music, the première of Les Troyens in 1863, the composer’s travels in Europe (including Belgium, Monaco and Switzerland, but not yet Germany, Italy, London, and Russia), Berlioz biography, catalogues and bibliographies of his musical and literary works, first editions of his published scores, and the complete text of his four published books (Les Soirées de l’orchestre, Les Grotesques de la musique, À Travers chants, and his posthumous Mémoires). In April 2017, with a view to safeguarding the long-term future of the site, we decided to begin converting it ourselves from its present doctype (HTML 4.01 Transitional), which we had adopted in March 2014 (see above), to the latest universal standard HTML 5 as defined by the World Wide Web Consortium (https://www.w3.org). This involves extensive rewriting of the code for the entire site. Some tags are now obsolete (such as the <font> tag, used to define font familiies, font sizes and colours), and have to be completely replaced. Other tags, and notably the 3 most commonly used on our website — the paragraph <p> tag for formatting text, the <img> tag for images of all kinds, and the <table> tag for all tables — continue to be used in HTML 5 but the attributes associated with them have frequently changed. For example the tag for centred text <p align="center"> now has to be rewritten as <p style="text-align:center">, and tables are now formatted not with inline attributes but mostly with internal and external sylesheets. The whole process of removing and replacing obsolete code is very time-consuming, since every single html file has to be checked individually on computer and validated online with the validation service provided by the World Wide Web Consortium (https://validator.w3.org). It will take many months to complete, but we will keep visitors to the site informed of progress. To date (1 May 2017) about 500 files have been converted out of a total of more than 5,500, including Berlioz concerts and recent news, Berlioz cartoons, Berlioz-inspired art postcards, the celebrations of Berlioz’s bicentenary in 2003 and all the nearly 400 feuilletons he wrote for the Journal des Débats between 1834 and 1863. En avril 2017, pour préserver l’avenir à long terme du site, nous avons décidé d’entreprendre nous-mêmes la conversion du site de son doctype actuel (HTML 4.01 Transitional) que nous avions adopté en mars 2014 (voir ci-dessus), au format universel HTML 5 tel qu’il est défini par le World Wide Web Consortium (https://www.w3.org). Ceci suppose la reformulation des codes pour la totalité du site. Certaines étiquettes sont maintenant périmées, comme l’étiquette <font> utilisée pour définir les polices, leur taille et leur couleur, et doivent être complètement remplacées par de nouveaux équivalents. D’autres, et notamment les trois le plus fréquemment utilisées sur ce site — l’étiquette <p> pour définir et aligner les paragraphes de texte, l’étiquette <img> pour désigner les images de toute sorte, et l’étiquette <table> pour indiquer les tables — continuent à être d’un usage courant dans HTML 5, mais leurs attributs ont souvent été modifiés sensiblement. Par exemple l’étiquette pour centrer le texte <p align="center"> doit maintenant être changé en <p style="text-align:center">, et le formatage des tables s’opère maintenant non au moyen d’attributs mais généralement avec des feuilles de style internes ou externes. L’élimination des codes périmés et leur remplacement est un travail de longue haleine, puisque chaque fichier doit être vérifié séparément sur ordinateur puis validé en ligne par l’outil de validation fourni par le World Wide Web Consortium (https://validator.w3.org): c’est dire que le projet va se prolonger pendant bien des mois, mais les visiteurs au site seront tenus au courant des progrès du travail en cours. À ce jour (1er mai 2017) sur un total de plus de 5,500 fichiers environ 500 on maintenant été convertis, notamment les annonces de concerts et dernières nouvelles, les caricatures de Berlioz et les cartes postales artistiques inspirées par lui, les célébrations du bicentenaire en 2003, et la totalité des presque 400 feuilletons écrits par Berlioz pour ie Journal des Débats entre 1834 et 1863. The Spanish edition of the Mémoires, translated and edited by Dr Enrique García Revilla, has been published by AKAL, collection Bíografías. Alex Messaoudi, from the town of Troy, in the département of Aube, France has launched a new monthly literary and musical magazine, Le Nouveau Millénaire, with special interest in 19th century writers and composers. The first issue which was published in January 2017 is dedicated to Berlioz. See also elsewhere on the site a brief note on the Bertin family who owned and edited the journal. 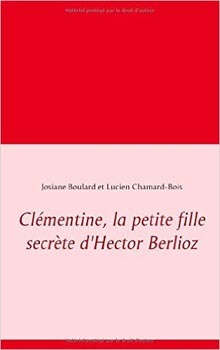 Following an earlier announcement about the research on Clémentine, we are pleased to inform you that a book based on that research, entitled Clémentine, la petite fille secrète d’Hector Berlioz, by Lucien Chamard-bois and Josiane Boulard has been published as book on demand by BOD, Books on Demand (www.bod.fr). The Museum has acquired a second portrait of Harriet Smithson; it is by Claude Marie Paul Dubufe. The play, Épisode ultime de la vie d’un artiste Paris, hiver 1839 [Final episode of the life of an artist Paris winter 1839] is about the unlikely meeting between Berlioz and the caretaker of a concert hall where the rehearsal of the Symphonie fantastique is taking place. The play is published by Éditions Le Solitaire in their Collection Jeune Théâtre series. ISBN 978-2-364070530. See also below Le Concierge (fantaisie dramatique sur Berlioz). 1. An 1847 Érard piano, which the Museum acquired at an auction and subsequently had restored by an Érard piano specialist firm in Amsterdam. The piano had been purchased by Marie Recio, at a time when Berlioz was in London; it was later inherited by her mother Madame Martin, who gave it to Berlioz. An 1865 portrait of Berlioz in the Museum shows him sitting on a chair, which is also in the Museum, next to this same piano. 2. A portrait of Harriet Smithson by the English portrait painter George Clint (1800-1854), recently acquired by us for the benefit of the Museum. The portrait dates from around 1825-1830. 3. A portrait of young Marie Recio, part of a legacy to the Museum by the Reboul family (descendents of Berlioz’s sister Nancy). 4. 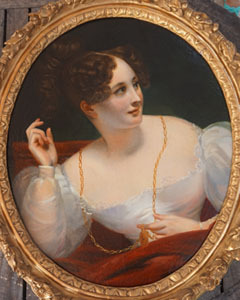 A portrait of Estelle Fornier purchased by the Museum from the descendents of the Fornier Family. On 13 May 2015 all the html/htm pages of the site were converted from the windows-1252 coding to the universal standard utf-8. This involved the modification and uploading of nearly 5300 files in all. Le 13 mai 2015 toutes les pages html/htm du site ont été converties du codage windows-1252 au codage universel utf-8. Ceci a nécessité la modification et le chargement de presque 5300 fichiers en tout. 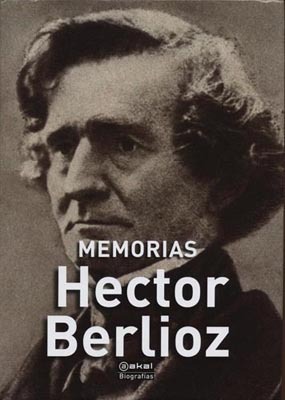 Hector Berlioz, Las tertulias de la orquesta, translated and edited by Enrique García Revilla has just been published by Akal Música in Madrid. Preface by Pablo Heras-Casado. In December 2013 we were invited by the Hector Berlioz Museum to publish on our site their large collection of letters and documents by members of Berlioz’s family, including his father, mother, uncle Félix Marmion, his wives Harriet Smithson and Marie Recio, his sisters Adèle and Nancy, and their families: in all 244 texts, ranging from 1823 to 1878. These texts are now available on this site in the original French, with introduction and commentary in French (the introduction is also available in English). There is also a selection of images of the letters. The Musée Hector-Berlioz issued a Communiqueé de presse [press release] on 11 December 2014, the day the letters and related pages were published on the site. The publication of letters of Berlioz’s family was announced at the time by a number of French institutions, papers, and websites. We are delighted to have received the award of a Berlioz Society Medal, which was given to us at a meeting of the Society on 22 June 2014. We are very honoured to find ourselves in such distinguished company as Sir Colin Davis, David Cairns, Hugh Macdonald and Dame Janet Baker, the previous recipients of the medal. We are very grateful to the Berlioz Society for this award. For further details please see Award of the Berlioz Society Medal (and its French version). Between 3rd February and 7 March 2014 the entire Hector Berlioz website was converted to conform to HTML 4.01 Transitional; this has involved modifications to the code of over 4200 pages of html, as well as the systematic introduction of stylesheets. Du 3 février au 7 mars 2014 l’ensemble du Site Hector Berlioz a été adapté pour être conforme au format HTML 4.01 Transitional; ceci a entraîné la modification du code de plus de 4200 pages de html, et la systémisation de l’emploi de feuilles de style (stylesheets). This extensive discography, entitled Sir Colin Davis - A Discography, has been compiled by Malcolm Walker and Brian Godfrey, which includes the recordings of music by a large number of composers, including Berlioz. In his music and his life, Hector Berlioz was a passionate romantic. From his first crush at the age of 12 to his last love at 61, women were at the core of his inspiration and his existence. Largely self-taught, the irrepressible genius of French Romanticism found his greatest success in life beyond his native land. From Rome and Florence to Paris and Nice, we follow in his tracks to reveal his prodigious passion for music and more. Along the way, we meet his biographers as well as contemporary greats like conductor Sir Colin Davis, the first man to record the complete works of Berlioz. As you may know Louis Berlioz had a daughter from a young lady with whom he had liaison. A letter by the mother of this person addressed to Louis concerning the welfare of the little girl is published in vol. VII of Correspondance Générale, letter no. 2855, footnote 1 (the original of the letter is in the Berlioz Museum). Until recently it had been assumed that Clémentine was born in Le Havre c. 1854. According to the bulletin of the Association nationale Hector Berlioz, Lélio, La Lettre de l’AnHB, no. 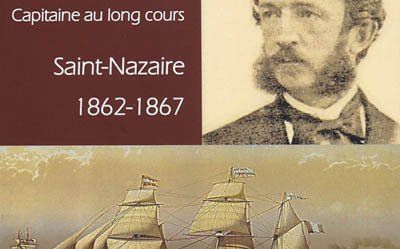 28, October 2012, two researchers, Josiane Boulard and Lucien Chamard-Bois, have discovered a document which indicates that Clémentine was born in Marseille on 31 March 1861. It should be noted that La Louisiane, the merchant ship of which Louis was a capitain, frequently docked in the port of Marseille and Louis had a close relationship with Berlioz’s lifelong friend Auguste Morel and his family who lived there. In 2013 The Musée Hector-Berlioz acquired the Livre de Raison [account book] of Louis-Joseph Berlioz, Hector’s father. The Livre de Raison contains “nearly three hundred neatly written pages and kept from 1815 to 1838, combining the function of family chronicle and register of the estates”. As David Cairns says, it “ is the record of the economy of a well-to-do country estate in the first few decades of the nineteenth century and the main documentary source for the background of Hector Berlioz’s shadowy early years”. We are delighted to announce that David Cairns was made the Commandeur de l’Ordre des Arts et des Lettres on 13 November 2013 at the French Ambassador’s Residence in Kensington Palace Gardens, London, with the Ambassador Bernard Emié conducting the ceremony. 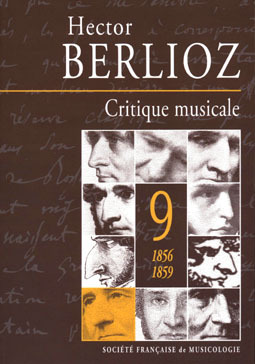 This edition of Berlioz’s 1862 is published by Symétrie, with a preface by Emmanuel Reibel. This article reviews a recording of Yves Rechsteiner’s transcription of the Symphonie fantastique for organ (VDE-GALLO Records, catalogue no. CD 1416). The article is in French. We have completed the transcription and publication of the original French text of all the Berlioziana and other articles on Berlioz published by Tiersot in Le Ménestrel between 1904 and 1911 (127 in all). The first set of transcribed articles were published on 1 May 2012 and the last on 1 November 2013. See also Julien Tiersot : Berlioziana (French) and Julien Tiersot : Berlioziana (presentation in English, articles in the original French). Do you have any concert programme notes, flyers, posters, and other documents related to performances of Berlioz’s music that you have attended or collected over time? If so, you may like to consider donating them to the Hector Berlioz Museum to be added to their rich collection of documents. Here is the Museum’s postal address: 69 rue de la République, 38260 La Côte Saint-André, Isère, France. At the initiative of M. Frédéric Mitterrand, the French Minister of Culture and Communication, the title of Maison des Illustres (‘House of the Illustrious’) was created in 2010 to raise the cultural and social profile of such establishments and publicise their distinctive heritage. The title is awarded to houses of exceptional cultural interest and guarantees an outstanding welcome to all members of the public. Musée Hector-Berlioz is located in the house in which Berlioz was born and grew up. Here you will find information about the museum, its history, its collection, virtual visits, the temporary exhibitions which it stages from time to time, and many other features. The Museum also has an extelent page on Facebook. You will find at the BNF early editions of Berlioz’s books, libretti and scores of some of his operas, many books on Berlioz, and a large number of his portraits. The BNF also has a large selection of autograph letters of Berlioz. As you may know, the manuscript of Les Troyens, piano reduction, was purchased by the Bibliothèque nationale de France, for 1.5 million euros, from a private collector in 2016. The present-day Conservatoire de Paris (Conservatoire National Supérieur de Musique et de Danse de Paris) is located within a few meters from the Cité de la Musique in the Parc de la Villette, at 209, avenue Jean-Jaurès, Paris. The Conservatoire’s Library/Médiathèque is named after Berlioz: Médiathèque Hector Berlioz. To see the pictures of the Paris Conservatoire that Berlioz knew visit the Conservatoire sectione on our Berlioz in Paris pages. The BBC has placed online the 119-year history of the Proms concertsl. You can search this rich archive by composer and works, year or artist. The archive listing for Berlioz is here. Monday 25 August 2003, 3.00am, Royal Albert Hall, Les Troyens Part 1, ‘La Prise de Troie’. In fact Les Troyens was performed complete on that day: Part 1 at 3.00pm (not at 3.00 o’clock in the morning), Part 2 at 7.00pm (this is missing in the listing). See also 25 August 2003 on our Archive of performances. The Association Nationale Hector Berlioz has a site (in French) with a number of sections, including: history of the Association, its objectives, its publications, and also pages on Berlioz biography, bibliography and discography. Members receive a free copy of the Association’s regular publications Bulletin de Liaison and Lélio. 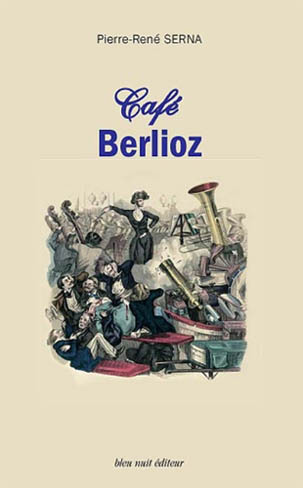 The Berlioz Society website gives information about the Society’s aims and the office holders. Members of the Society receive a free copy of the Society’s tri-annual Bulletin. In addition, an annual weekend is organised which are open to the members and their guests. This is an Internet-based virtual library in Japanese language dedicated to Hector Berlioz, created and edited by Mr. Goro Aoki, a Japanese Berlioz scholar. The composition is a ‘sort of opera’ about Berlioz, based on texts taken from Berlioz’s own writings (Mémoires, letters, etc) and D. Kern Holomon’s biography of Berlioz. It is entitled Episodes de la vie d’un artiste, and was first performed on two consecutive evenings on the occasion of the 75th anniversary of the Rotterdam Philharmonic Orchestra in 1994. 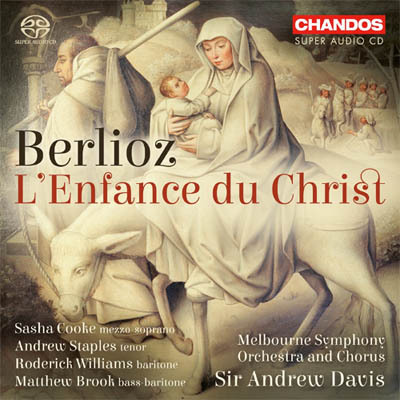 The focus of the work is on Berlioz’s relationship with Harriet Smithson and their son Louis, which in the composition is represented by a boys’ choir. For more information on this composition visit Mr Bank’s website, including Episodes de la Vie d’un Artiste. 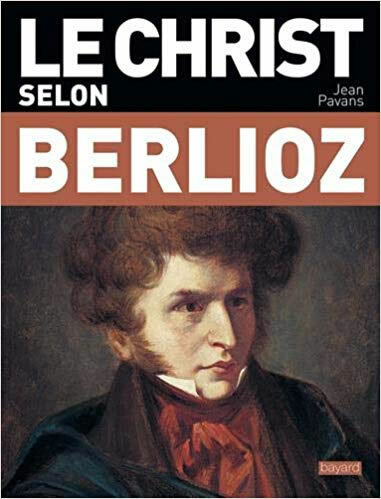 This 1914 biography of Berlioz was written by Dr Hans Scholz and published in Munich (in German). It is published online as part of the Gutenberg project. Digitised copies of the vocal scores of Berlioz’s operas are now available on the website of the Loeb Music Library, Harvard University’s main repository for music materials. On 26 June 2012, David cairns delivered this lecture at Barnard’s Inn Hall, Gresham College, London, ahead of the City of London Festival performance of Berlioz’s Grande Messe des Morts Op. 5 (Requiem) by the London Symphony Orchestra and Chorus conducted by Sir Colin Davis, which took place at St. Paul’s Cathedral. Matthew B. Tepper’s Hector Berlioz site includes, among other interesting features, the text of his Master’s degree thesis, “Tempo, Style, and Options in Modern Performances of Hector Berlioz’ Grande Messe des morts, Op. 5”, (University of Minnesota, 1983). A digital copy of the original Une page d’amour romantique : lettres inédites à Madame Estelle Fornier, published in Paris in 1903, is now available to read online or to download for free, in various formats including pdf. The play is by Thierry Rousselet, directed by Alain Servigne, with Anne-Gaëlle Gernot (Harriet, la Voix), Raymond Jouvin (Le Concierge), Alain Servigne (Hector Berlioz). It is in French. This play was performed in Gillonnay, a town very near La Côte Saint André, on 27 and 28 June 2015, and on 21 May and 12 August 2016 at the Musee Hector-Berlioz. The video recording of the performance of 27 June in Gillonnay is available on Youtube. For further details see also above: Épisode ultime de la vie d’un artiste” – a play by Thierry Rousselet. The Musée Hector Berlioz’s Facebook page regularly annonces various events (exhibitions, guided touurs, etc) which take place at the Museum, and publishes new photos of the Museum from time to time. Our Facebook group has been created in conjunction with our own Hector Berlioz Website (www.hberlioz.com), which is a homage to the great 19th century composer. The group provides a forum for discussions and exchange of news and views on and about Berlioz and his music and any other related subjects that members would wish to discuss or publishe on the group page. The page also announces major concerts, reviews, publications, recordings and other events, as well as updates of various pagesof our website. Completely Berlioz group is similarly a forum for discussions and exchange of news. A large number of videos of performances of Berlioz’s music can be watched on youtube. An audio recording, broadcast on public radio on 8 April 2014, of Les Troyens performed at the Teatro alla Scala di Milano (the Royal Opera House June 2012 production) conducted by Antonio Pappano, is now available on youtube. Dear AllHere are videos of a performance of the Berlioz Symphonie Fantastique that I did with the Texas All-State Orchestra. There were 130 players, just like Berlioz would have wanted! It’s hard to believe they are all high school kids, they’re so good. They play hot, and with a lot of freedom and rubato, more than making up for an occasional ensemble lapse. La Malédiction won the first prize at the Festival du court métrage amateur [Festival of amateur short films] in 2011.
actors: Yves Thomas, Hector Arnaud, Christiane Fonvieille, Anna Bianca, Patrick Fonvieille, Gaël Fonvieille. Both films, available on youtube, are by Thomas Bozzato, in cooperation with the Musée Hector-Berlioz and Département de l’Isère. We would like to express our gratitude to all those who have in the past and at present contributed to this page: Association nationale Hector Berlioz, John Ahouse, Ruth Akers, Philippe Allante, Association Messiaen 2008, Jacques Bank,Yann Beaumin , Bernadette Beyne, Peter Bloom, Ilke Boran, Hugues Blunat (of the Orchestre des Gardiens de la Paix de Paris), Gunther Braam, David Cairns, Professor Luc Charles-Dominique, Didier Charton, Andrew Coombs (Bristol Choral Society), Peter Craik (Royal Academy of Music), Jean-Philippe Dartevel, Xavier de Keroual, Eric Delcommenne (of the Belgian Post Office), Jean-Michel Desai, Julien Di Tommaso (Director of Compagnie Interlude), Pepijn van Doesburg, Elena Dolenko, M. Daniel Dollé (Deputy Directeur Géneral of the Deutsche Oper am Rhein), Márvio dos Anjos, Adeline Ducasse, Tony Dymoke-Bradshaw, Eric Ferrand-N’Kaoua (Pianist), Maestro Guillermo Figueroa, Frédéric Fleurot, Christopher Follett, Franziska Geus, Misoon Ghim, Thomas Glasow, Robert Goldberg, Haydn Greenway, Keith Gunnar, Gene Halaburt, Frank Heidlberger (Professor of Music Theory), David Howitt, Kenichi Inagaki, Daniel Jacobi, Harald Janko, Diana Jefkins, Eddie Jones, Xavier de Keroual James Kearney, Craig Kridel, Dr. Klaus Heinrich Kohrs, Will Lardinois, Yann Le Bras (of the Absolutamente company), Louis-Paul Lepaumier, Gilles Lesur, Jacques-Francois L’Oiseleur Des Longchamps, Rob Lown, Jean Claude Luc, David López-Rey Lumbreras, Professor Hugh Macdonald, Bruno Messina (Artistic Director of the Berlioz Festival), Jean-Stéphane Michaux (of Caméra Lucida Productions), Patrick James Miller, Muriel Mironneau (Directrice de la communication, SeaFrance), Norbert Molina, Christophe Monge (aida38), Jim Morris, Peter Nicholas (Stars in Brass), Alison Palmer, Alice Pearson (Cover CD Editor of the BBC Music Magazine), Ronald Peterson, Valérien Pitarch, Patricia Pouchulu, Bennett Ramberg, Michel Raynaud,Ellen Reilly, Enrique García Revilla, lain Reynaud (General Secretary of the Association nationale Hector Berlioz), Alan Robertson (a director and member of the City of Glasgow Chorus), Bertrand Roulet, Thierry Rousselet, François Sachot (from Théâtre du Chêne Vert), Alain Salomon (of Radio France Bleu Isère), Bob Salvi, Pierre-René Serna, Jesus Sevari (of the Absolutamente company), Larry Simmons, Molly Skardon, Cyrille Songeur, Chantal Spillemaecker (Conservateur du Musée Hector-Berlioz), Didi Stewart, Hjördis Thébault, Conrad Tobler, Anja-Rosa Thöming, Dave Tomlins, Michele Troise, M. Antoine Troncy (Assistant de Conservation du Musée Hector Berlioz), Ralph Unterburg, Steven Van Impe, Mark Vendy, Sue Vernon, Olga Visentini, Davide Vittone, Heinz Peter Wacker, Christian Wasselin, Delmar Williams, David Winn, Leo Wong, Michael Wright, John Wrzesien and Douglas Yeo. The Recent News page created on 27 December 2000.